I’ve been baking nonstop the past few days in preparation for our annual cookie and craft beer exchange that’s coming up this weekend. Everyone brings a dozen cookies or a six pack of beer and we spend the night sampling everything. We look forward to it all year! I like to bake all of my holiday cookies at once. That way I can throw them in the freezer and pull some out throughout the season, when we have guests or are headed to a party. It makes life so much easier! I’m nearing the end of my baking list and, while I love spending time in the kitchen, I’ll be so glad to be done with the dishes that come along with it. This year I decided to add an old family recipe to my list of cookies to bake. 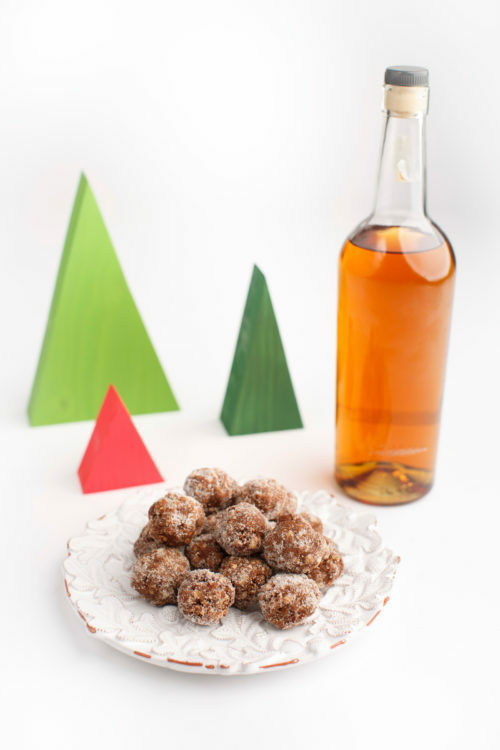 My grandmother Barb was famous for the bourbon balls she made every Christmas. They were off limits as a kid, which meant I snuck a couple when the adults weren’t looking. I certainly couldn’t appreciate their taste back then! But, as a bourbon-loving adult, these are now among my favorite holiday treats. I love how easily these cookies come together — you don’t even have to turn the oven on! That does mean they pack a punch, so be sure to warn your guests when you offer these up. 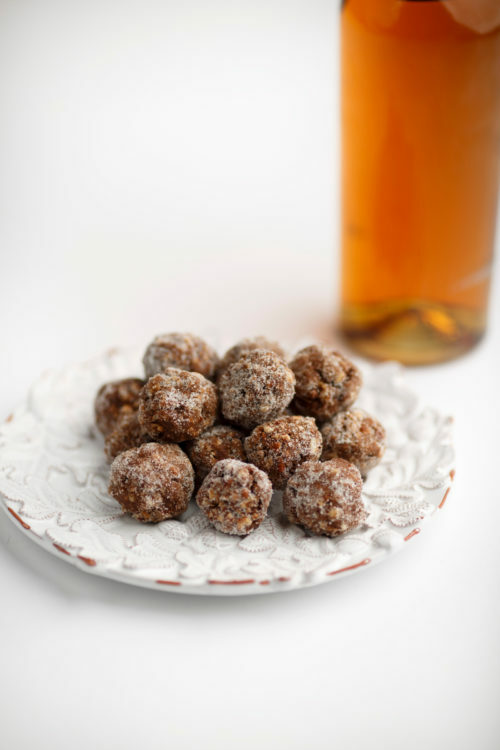 The bourbon balls are pretty rich, thanks to the powdered sugar, cocoa and pecans. You don’t have to use top-shelf liquor in this recipe. But, the higher-quality booze you choose, the better these will taste! If you’re not a bourbon fan, you can also substitute rum or brandy. In a large bowl, whisk together vanilla wafers, powdered sugar, pecans and cocoa until combined. Add corn syrup and bourbon to the mixture and mix well. 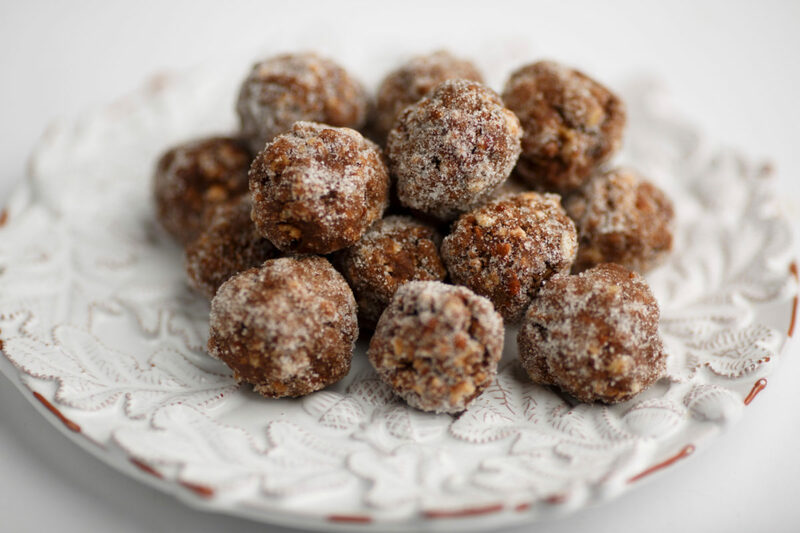 Wet your hands, then carefully roll the batter into 1-inch balls, rewetting your hands as needed. Roll each ball in granulated sugar. Store in an airtight container at room temperature or in the fridge.